This is a cross between lava cake and chocolate pudding. 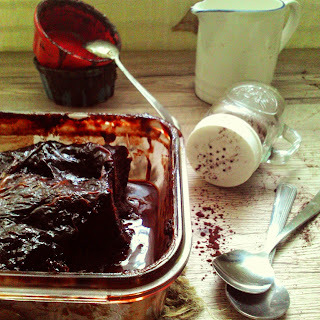 A cross between decadent chocolate cake and espresso hint chocolate sauce. Between the easy peasy muffin method and hot chocolate making. Gosh, do you count how many times I mention chocolate? 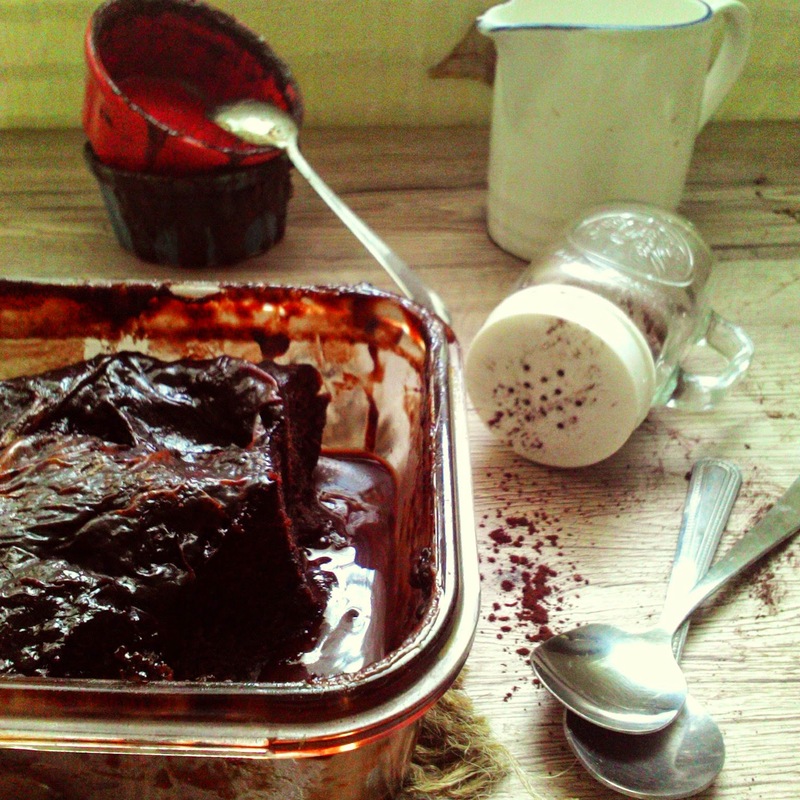 Well, let me introduce you: Self-saucing chocolate pudding. Almost like lava or molten cake, it is just get simpler, easier, quicker yet you still can dig up the flowing chocolate sauce every time you spoon. First time saw and suddenly curious when I read Gourmet Traveller Magazine, my new chocolate bible (how can I say it is not a chocolate bible if it is not contain more than 400 chocolate recipe?). Frankly, I never eat lava cake. 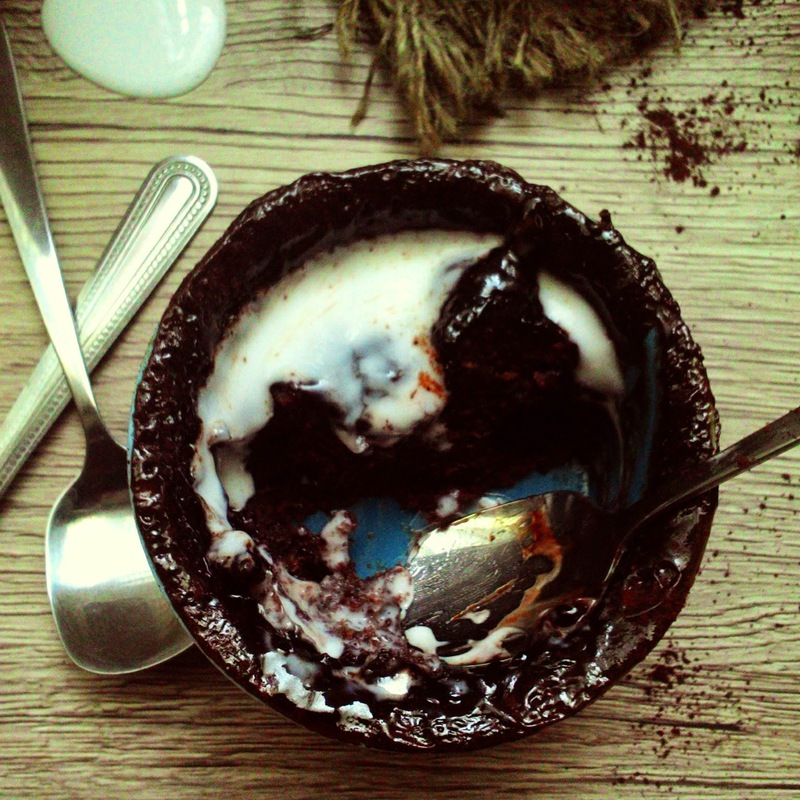 But to imagine chocolate lava beautifully spill from cake must be an enigmatic experience. I could get foodgasm only by imagining it. 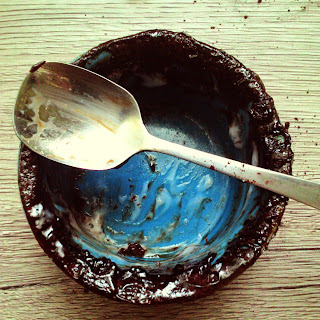 But if, if only, there is another way, a much simpler and easier to make the chocolate lava thingy, especially when there is no mixer available on your side, would it be a triple foodgasm? Definitely. So, yeah baby. This recipe doesn’t need mixer like I describe you previously. Read carefully, especially my warning, then go measure all the ingredients, pre heat the oven, then make happen your self-saucing chocolate pudding! Worth thousands picture! 2. Combine butter, egg and 125 ml almond milk in a jug, then whisk into flour mixture yntil smooth and combined. Spoon into a buttered 2 litre baking dish, smooth top and set aside. 3. Combine remaining sugar and remaining cocoa in a bowl and scatter over pudding. Bring remaining almond milk to the boul in a saucepan over medium hight heat, then gently pour ober the back of a spoon onto pudding. Bake until centre springs back when pressed (35-40 minutes). Dust with icing sugar and serve warm with double cream.